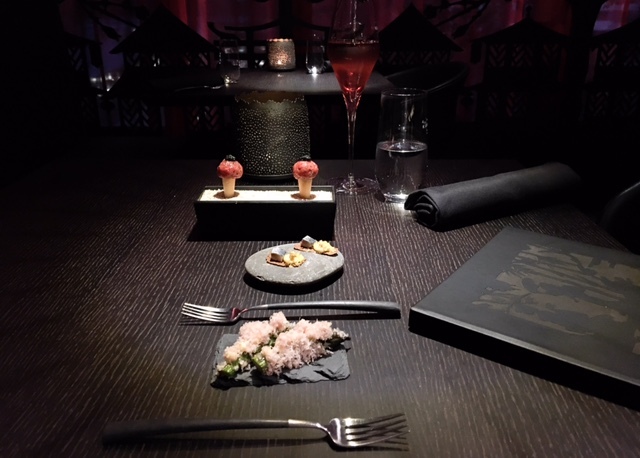 It’s such a privilege to experience fine dining in some of the world’s best restaurants; and sometimes these can be found in surprising places, writes Andrew Forbes. 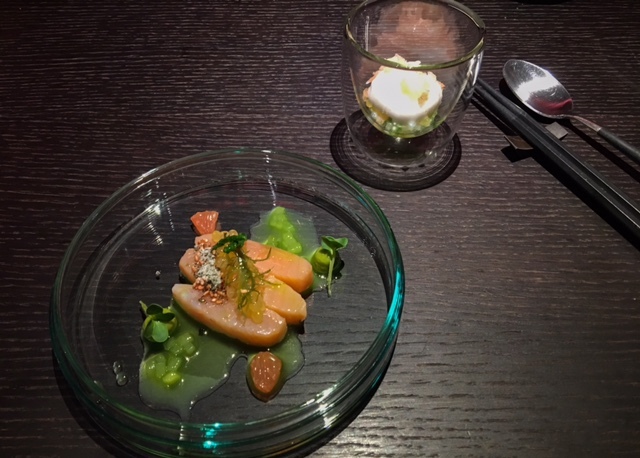 This spring I stayed at the flamboyant Kameha Grand in Zurich, (you can read our profile review here), and the highlight of my stay was dining at YOU Restaurant, by executive head chef Norman Fischer. 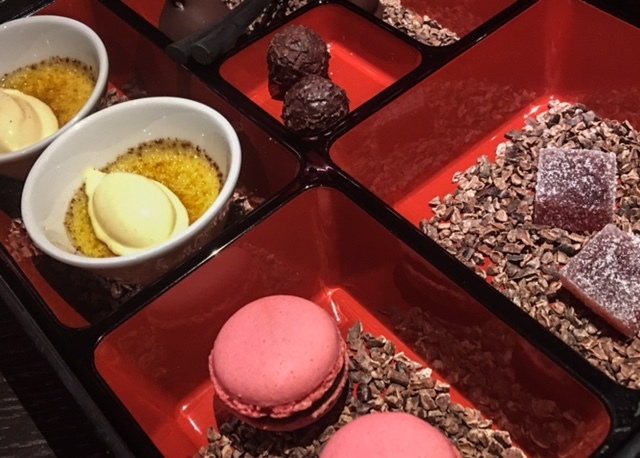 From the first delightful morsels of the chef’s appetisers to the final sweet bites from the bento box tray of Petit Fours, this was one of the best meals I have had in a very long time. To share such an experience in an article is always a challenge, so here I’ll let the images do the talking; but first a little about the chef and his head waiter/sommelier. 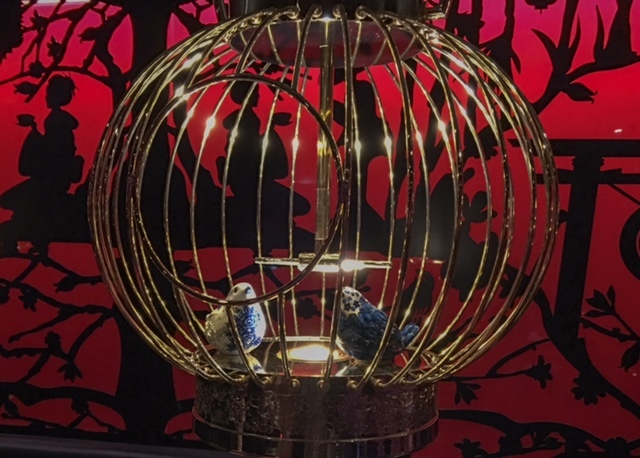 The YOU restaurant started as an Asian restaurant, but in 2016 was transformed into a modern Michelin star eatery that offers cosmopolitan cuisine with far eastern influences. The chef, Norman Fischer, has experience from some of the best kitchens in Europe. 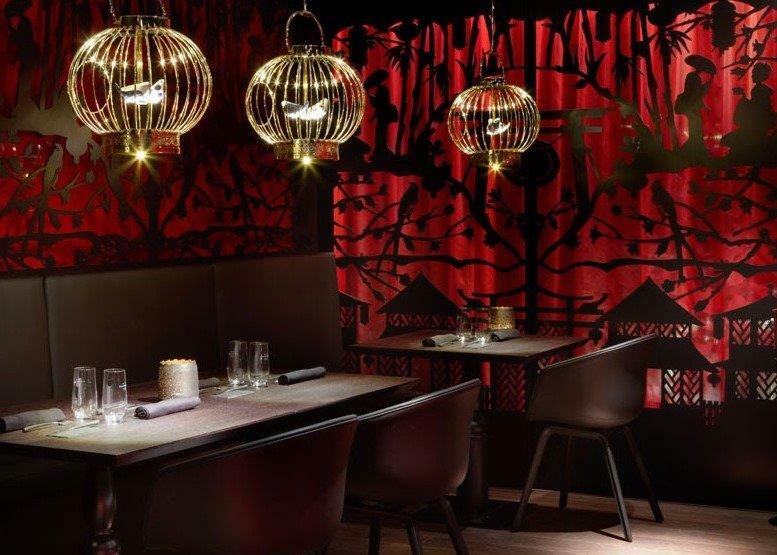 At YOU he and his team have been recognised with a Michelin star, 17 points in the Gault Millau and seven pans in the Gusto as ‘best restaurant in Bremen’. 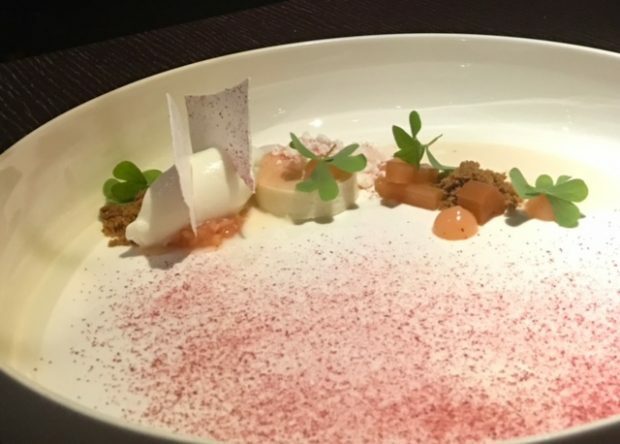 It is worth noting that what makes a meal so memorable is not only the creativity of the kitchen, but also the expertise and style of the team in the restaurant. 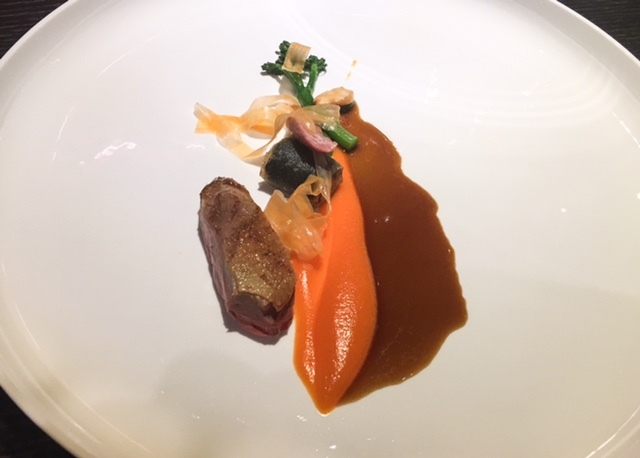 I was looked after by Christoph Bartsch, a friendly wine expert who not only explained each dish, but perfectly paired it with a glass of wine. 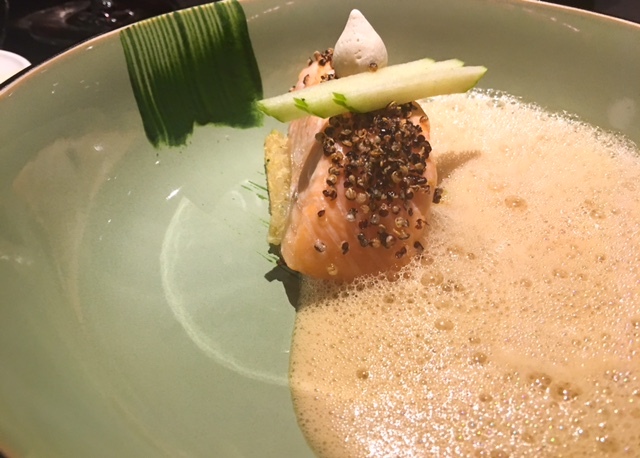 Before the exceptional menu begin, there were chef treats to whet the appetite, accompanied by a glass of sparkling Swiss pinot noir, ‘Obrecht’. 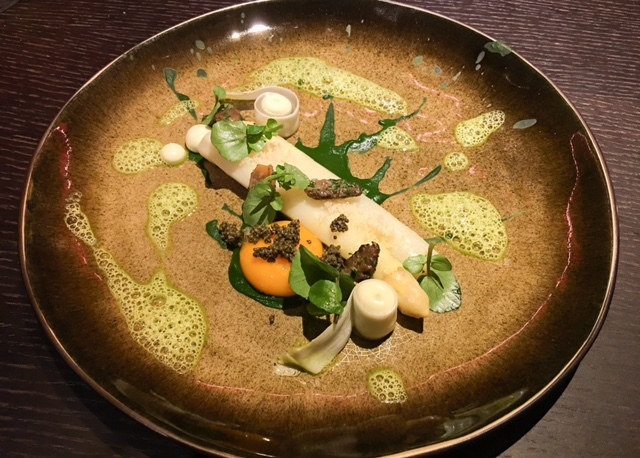 Char fish; with tapioca, herbs and sea asparagus – Christoph recommended a glass of Sauvignon Blanc, from the Swiss Erich Meier winery. 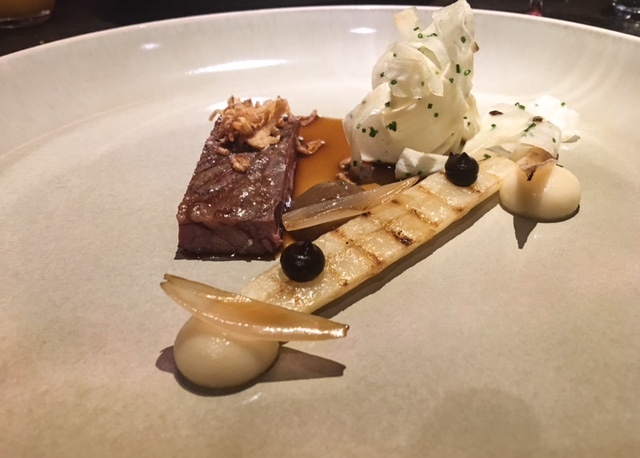 Beef; with shallots, black salsify and liquorice – with this I tried another Pinot Noir, but as a red – the evocatively named ‘The Butcher’ from Schwarz wineries. Christoph’s recommendations were always on point. 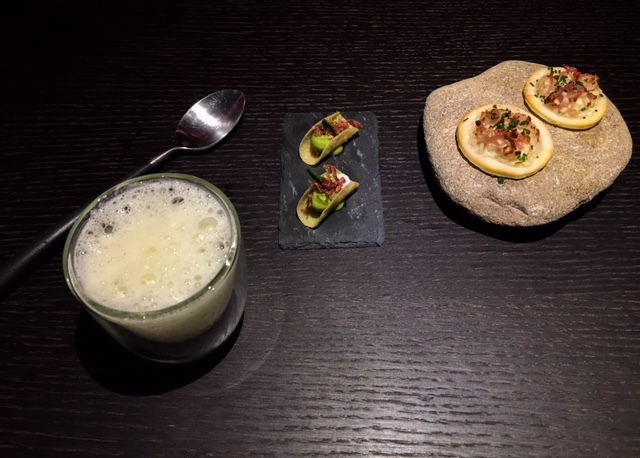 Homemade Kefir; with rhubarb, muscovado and sorrel – Christoph suggested another Swiss wine. This time the ‘Crête Ardente’ Malvoisie AOC Valais 2009 – a delicious white with caramel notes that was perfect with the pett fours too.